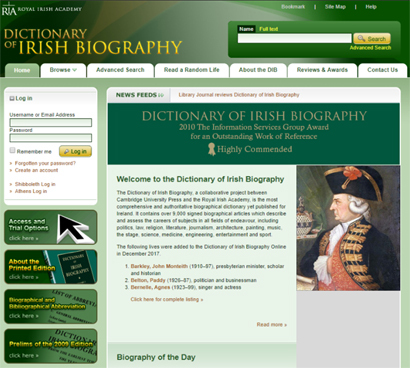 Did you know that you can access The Dictionary of Irish Biography for FREE at your Sligo Library. This very distinguished looking man is Ambrosio O’Higgins (1720-1801), viceroy of Peru and Marquis de Osorno, who was born in Ballinary, Co. Sligo (Lough Arrow). Spending time in both Spain and South America, he is credited with introducing the postal system between Argentina and Chile. After he commenced a military career at the age of 50, he became responsible for opening up large areas in South America and also for abolishing the slavery system. He became known as ‘The Great Viecroy’. To find out more about Ambrosio O’Higgins, call into your nearest Sligo Library branch where you can access the Dictionary of Irish Biography for FREE!